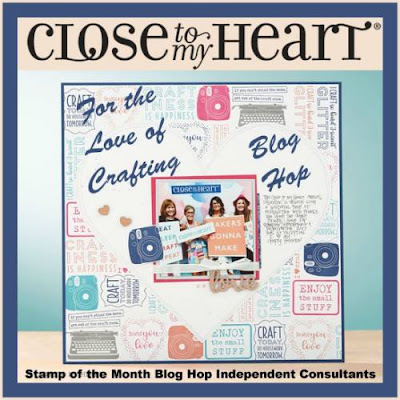 Welcome to the August Stamp of the Month Blog Hop!! This month's stamp isFor the Love of Crafting. This fun stamp set has 9 images!! If you came from Melissa Robinson's Blog you are on the right track! The hop is one big circle so when you get back to me you will know you have completed the hop! If you get lost along the way, you can see the entire list of participants HERE. I know that many of my customers have been waiting for this month to get here because of this stamp set! 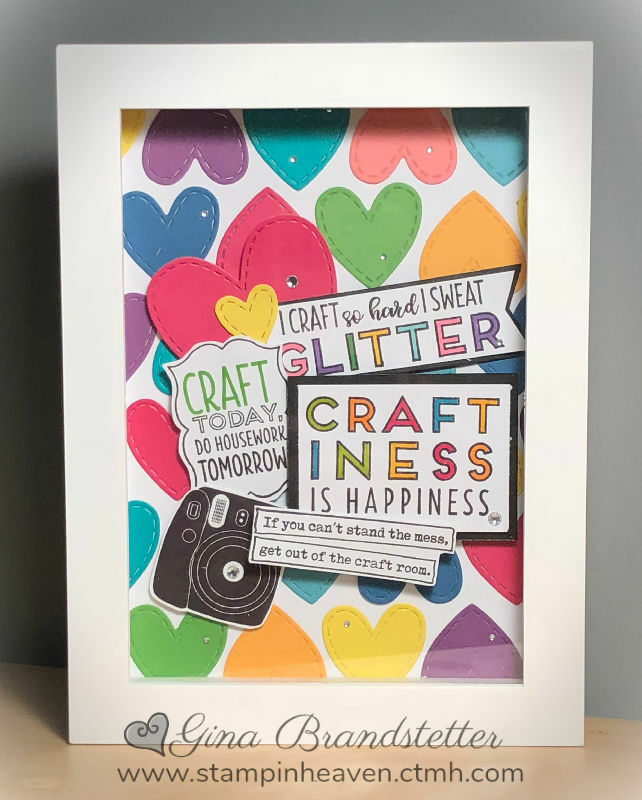 There are so many crafty images and sayings in this set. When we attend Close To My Heart's convention, it is tradition to get your convention roomies a little something. I decided to use this stamp set to make a fun gift for my convention roomies this year. I started with a bunch of 1 3/4" stitched hearts thin cuts in lots of bright colors and added them to a white background. Next I stamped several of the images and cut them out. I used my ShinHan Touch Twin markers to color the letters. Then I worked with the images and a few extra hearts (a larger and smaller heart than my background hearts) to create dimension. I made layers using 3D foam tape and dots along with Thin foam tape and dots. My final touch was to scatter some bitty sparkles around on the heart background. I found the 5x7 shadow box frame at Michael's. I made three of these. I'm kind of sad that I gave them all away because now I don't have one for myself! I'm thinking about making a larger version for a bigger frame. We shall see where that ends up on my TO DO list. Get this stamp during AUGUST ONLY!!! It's just $5 with a $50 purchase! I can't WAIT to see what everyone else has done with this stamp! Let's head over to Alyson Mayo's Blog and see what she has to share! Love the roomie gift. What a great idea! Need one like this for my craft room. This is a great project! Thanks for sharing. Incredible project! Love all the beautiful colors. Great design! Oh, WOW, best card ever! Super FUN!! That is so much fun, love all the color. Such an awesome gift. So many fun colors & the finished project is perfect - so cheerful! 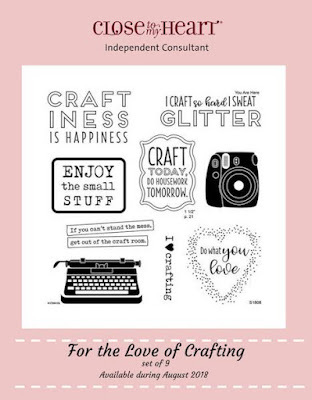 What a WONDERFUL thing for a crafter's space!!! TFS, Gina! What an awesome roomie gift!! I love this! I love love love this! All those hearts are fabulous! OOOOH I love your little project! May I share it on my blog with a link back to your blog too to show how versatile the stamp set is? Regardless, it's JUST adorable! What a great idea for displaying these cool sentiments! LOVE this bright and colorful card!! This is absolutely amazing! Super creative! Sign Up for Fall Virtual Card Making Classes!